Graduate and honest building inspector working for you in Saint-Hyacinthe. We know that buying a home is the investment of a lifetime. The choice of the inspector for your home or condo inspection is very important. We conduct our inspections rigorously and take the time necessary to check every visible element of the building. A full inspection report with pictures is given to you within 48 hours of the inspection. Each finding is followed by recommendations, photos and comments so that you can make an informed decision. We will answer your questions throughout the inspection and should you have any further questions after submitting the report, we are available for you. Note that the written report is available only in French. 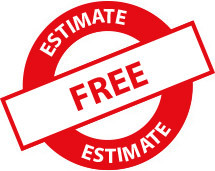 Do not hesitate to contact us for a free quote for your home inspection in St-Hyacinthe. Patrick Bergeron is a graduate inspector and a member of the association of building inspectors InterNACHI Quebec.